1. Concrete countertops - We plan to DIY our own! I am SO excited about this. I was hoping for a nice, durable countertop and we should be able to pull this off for even less than a laminate top would be. My inspiration from the top and rough directions came from this blog post by Kelly Moore. Based on the size and cost of their project, I'm hoping our tops will end up in the $150-200 range. 2 & 3. Paint cabinets & walls - We'll be painting the cabinets semi gloss white (and possibly adding some trim detail to the doors) and painting the walls a pale yellow semi gloss (I picked out "Pear" by Valspar). For a gallon of primer and a gallon of each color, we're looking at around $60 for paint. 4. 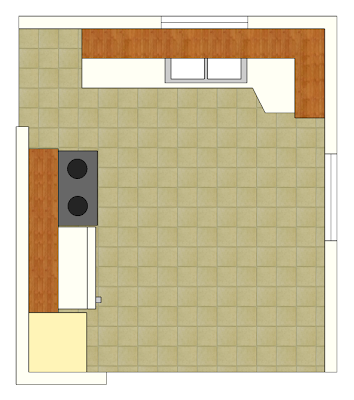 Replace ceiling fan - The white/brass ceiling fan has to go, and will be replaced by...a new ceiling fan. I know there are plenty of ceiling fan haters out there, but there is no better way to keep a house cool in the summer and I will not give it up! I have my eye on a much prettier one at Lowe's that's around $70. 5. New sink & faucet - Saying goodbye to the old cast iron sink we have now. 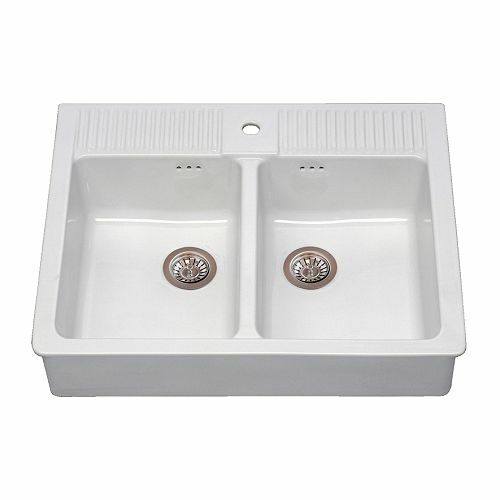 Ideally I would LOVE to have this farmhouse sink from Ikea, but it runs over $300. Boo. 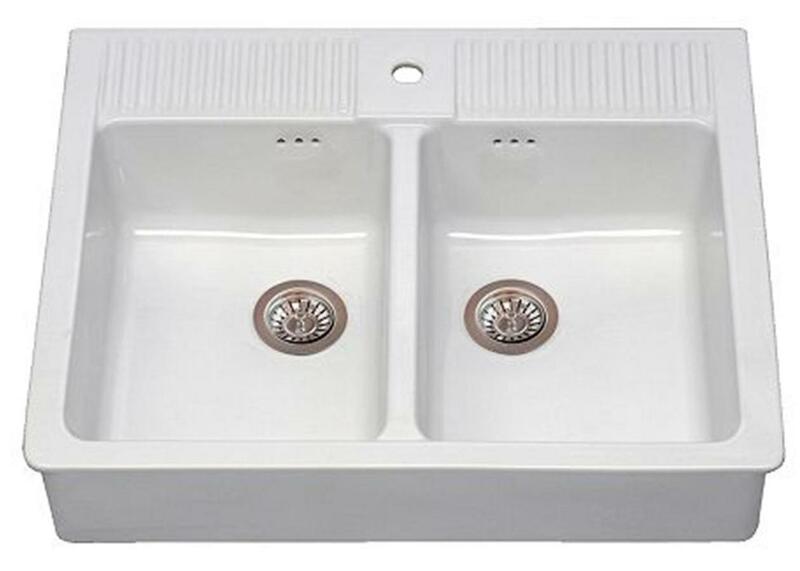 So it will probably end up being a standard stainless steel sink. Hopefully a super cheap one from a yard sale. 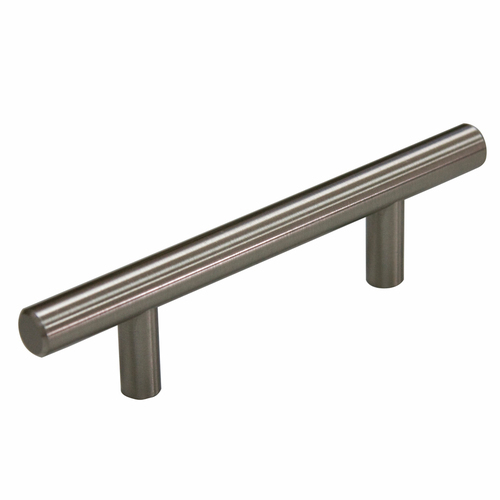 :) As for a faucet, I'm thinking maybe something with a gooseneck, but it will largely depend on what I can get for a good price. Hoping to keep it under $50, and hopefully even find something at a yard sale! 6. Tile backsplash -Tile is so hard to choose! There are so many options! I'm thinking about maybe a small white subway tile like this one from Overstock.com. But we'll see if I stick with it. :) Of course I'll also check local stores to see if I can get something around here. If I go with something like this from Overstock, it will be about $65 for a case, which should be plenty for our small kitchen. 8 & 9. Add cabinets, extend countertop -If you recall, I already picked up these two cabinets at yard sales to put on either side of the window. Since everything will be painted white, the color of the cabinets didn't matter. 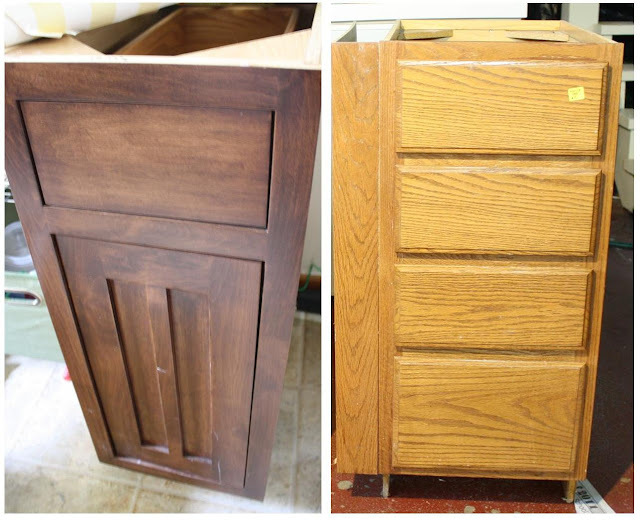 I'm thinking about trying to mimic the detail on the left one onto the rest of the cabinets using some kind of trim. I'll let you know what I come up with. These cabinets will allow us to extend the countertop all the way past the window giving us tons more counter space! (the window dips below the countertop so we won't be putting any cabinets in that space, but the open space could house a bar stool) Cost for additional cabinets was a mere $12! 10. Bamboo or Roman shades - I would love to have something like this made of jute or bamboo, but those babies are expensive! So unless I find some amazing deal, I'll probably end up DIYing some fabric roman shades. 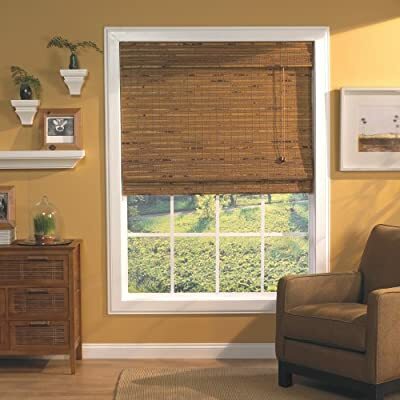 Here are a few tutorials I'm considering for Roman Shades from mini blinds, Roman Shades from scratch, and Custom Roller Blinds. Hoping to DIY something for both windows for under $20. 11. Drop-down bar with stools - I want to have space to move my dining table in to the kitchen sometimes (like during Christmas when my giant Christmas tree takes priority) and a drop down bar is the perfect solution. I can have it up with a couple bar stools most of the time for extra seating and counter space, then fold it away at Christmas to accommodate my decorating fetish dining table. 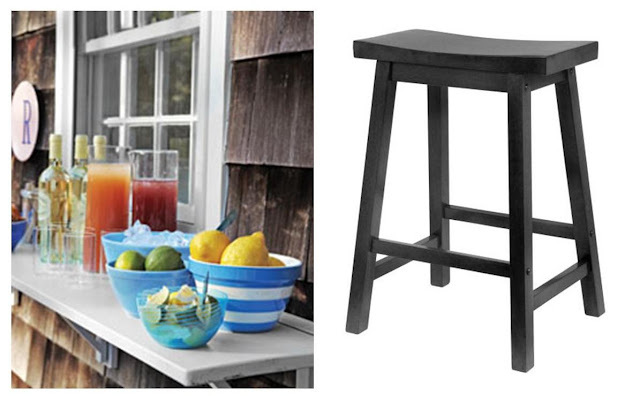 I'm planning to build the bar using this tutorial from Martha Stewart Living. 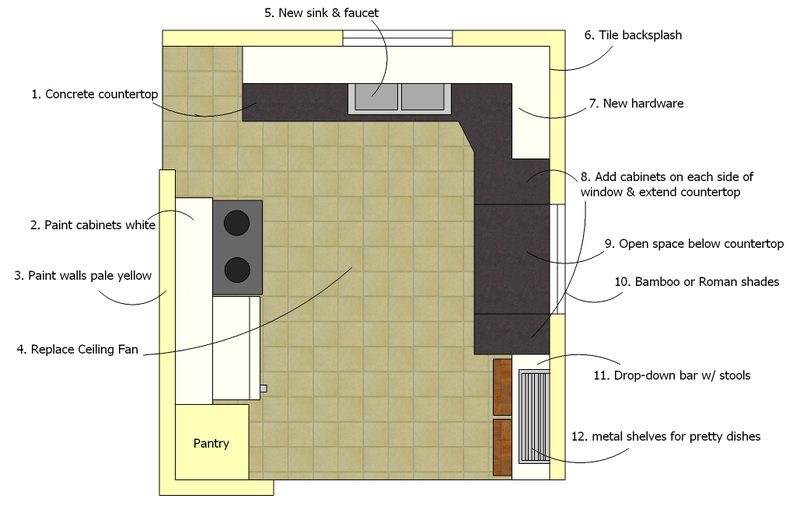 As for bar stools, I want saddle style but they are WAY expensive, so I'm going to take a swing at building my own by modifying this plan by Ana White. I think I have enough wood in my basement for the stools already, and I'm hoping the bar will come in under $20. 12. Metal shelving -I'll be putting two of these metal shelves from Ikea above the drop-down bar. I think a little metal will add some nice texture to the room and go well with the stainless appliances on the opposite wall. I have some beautiful white dishes that I plan to store on these shelves, which will open up hidden storage in the cabinet for some of the less pretty things I need in the kitchen. :) Two shelves will run us about $30. So that's the plan so far. Total cost estimate (optimistically) so far is $560 (not counting the super expensive sink of my dreams), but I'm sure it will end up being more than that. Things always are. :) We don't have a date to start construction yet, but at least now we have and idea of how much we'll have to save up to make it happen! How exciting! Will stay tuned.